Petite can be charming, but many people do not feel that way about their smaller-than-average bathroom. If you are blessed with a pint-sized loo, there are certainly some associated frustrations and also many benefits. For instance, you probably don't have to spend hours cleaning up the room, even though you might dislike the fact you can brush your teeth while showering and spit directly and neatly into the sink. No, small does not mean boring, and with a few bathroom decor ideas and upgrades, your little lavatory can shine. Trying to cram storage units onto a little bathroom floor is going to make the space feel tighter. Pure Wow suggests using height to your advantage. Find a row of pegs from which to hang your towels, and hang a basket or two over extra hooks. You can store hair styling equipment, magazines or additional toilet paper. If you need extra space, adding a couple of shelves a little above head height can give you more room for necessities. Just be sure you will not bang your head when you stand up from the toilet. Some bathroom vanities are slightly elevated from the ground. If this happens to be the case in your home, look for low-profile baskets to slide underneath. There may be enough room for a couple of towels or washcloths to hide. 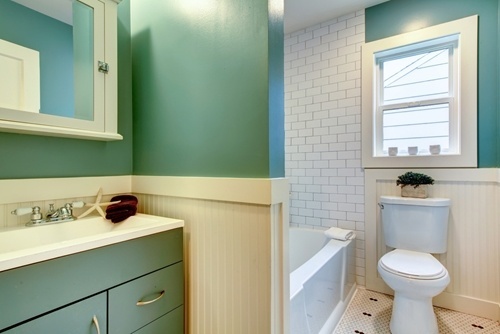 Your small bathroom can be easy to clean and look amazing. Looking for a pedestal sink will save floor space. 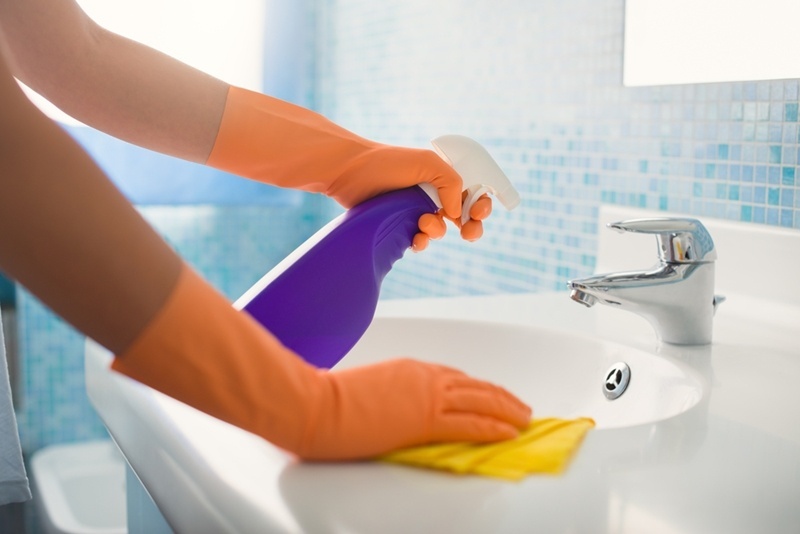 If you need advice on how to install a new sink - or just some inspiration - the professionals at a kitchen and bath showroom will be able to help you out. While it might seem daunting to ditch a bathroom vanity, a pedestal sink is easier to clean. Apartment Therapy presented a different example in one renovated bathroom by removing the large and bulky bathroom vanity and adding a wall-mounted sink. Those who love adding bathroom tile might want to consider a European-style wet bath, as featured in an article on Forbes.com. In this kind of bathroom, the entire room is tiled and it is possible for the whole space to get wet from the shower. The space is small, and the shower head is often located above the toilet, with no differentiation between the shower floor space and the rest of the room. Another European-inspired element to help a small bathroom feel larger is the wall-mounted toilet. Here, there is no pedestal or upper cistern to take up room, but you might want to leave the installation to the experts! No matter how you choose to organize your space there are many ways to give a helping hand to a smaller lavatory. You may have to get a little bit creative - or international - but your tiny bathroom can still be cool and wholly functional.